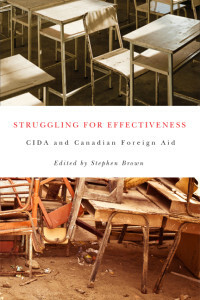 This revised edition not only analyzes Canada’s past development assistance, it also highlights important new opportunities in the context of the recent change in government. 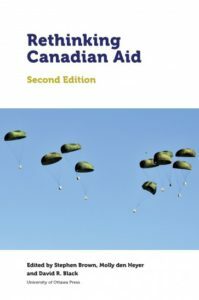 Designed to reach a variety of audiences, contributions by twenty scholars and experts in the field offer an incisive examination of Canada’s record and initiatives in Canadian foreign aid, including its relatively recent emphasis on maternal and child health and on the extractive sector, as well as the longer-term engagement with state fragility. Download a free PDF of the entire book here (7.3 MB). The first edition was named of the Hill Times’s best political books of 2015. Since the end of the Cold War and especially following 9/11, security concerns have increasingly influenced foreign aid: how Western countries give aid, to whom and why. With contributions from a wide range of experts in the field, this book examines the impact of security issues on six of the world’s largest aid donors, as well as on key crosscutting issues such as gender equality and climate change. Each chapter in this volume finds important evidence of securitization, though to varying degrees. 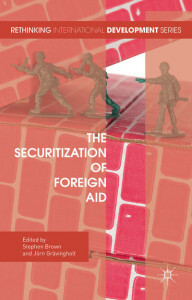 In some cases, securitization does not appear problematic, whiles others suggest that security considerations have perverted the fundamental purpose of aid, which is to fight poverty and inequality, and have reoriented it towards greater donor self-interest. The conclusion provides recommendations that could help limit the extent of securitization for the benefit of poor and vulnerable people and prevent aid’s inefficient redirection to less benevolent, short-term goals. One of Embassy’s ten featured books of 2012. —CIDA President Margaret Biggs in a memorandum to Minister of International Cooperation Julian Fantino. Read the full internal CIDA background memo on the book here (PDF, 8 pages, obtained via ATIP).